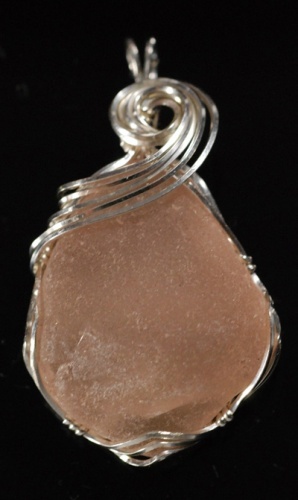 This elegant piece of pink seaglass is a very rare color. It is enhanced with draping swirls of sterling silver to just make the color pop. Piece measures 1 3/4" from top of bail to bottom of pendant. Comes with an 18" sterling silver chain.